Russia’s Ministry of Natural Resources and Environment has contracted out a project for the development of a global climate matrix, which the ministry hopes to use in calculating emergency prevention costs in the future. The climate model will use data across all of Russia’s districts, in order to help officials understand the impact of climate changes on regional economies and death rates. 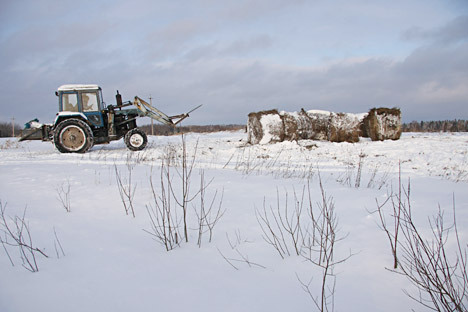 Next year, a global climate matrix will be developed for the Ministry of Natural Resources and Environment, in order to take into account an unprecedented number of climatic factors for each district in Russia, as well as their impact on all sectors of life. The matrix will help the ministry calculate the effects of global warming and natural disasters, assisting the ministry in the study of environmental influences on the death rate in Russian regions and their economies. A representative at the ministry told Izvestia that climatic phenomena must be digitalized to deal with increasingly unpredictable acts of nature. “Essentially, we will get threshold safety values for sharp climatic changes. It is not so much about global warming as it is about the chance to streamline economic processes and substantiate investments in efforts to prevent disasters. We will be able to calculate precisely how much a region requires to effectively deal with weeds, for example. The matrix will take almost everything into account: diseases, death rate, droughts, fires and environmental imbalances,” the ministry official said. Researchers will analyze the main climatic parameters for the entire country over the last 10–20 years, including temperature, atmospheric pressure, wind speed, relative humidity and precipitation. They will then have to analyze the outcomes of all the significant natural phenomena to understand how exactly climate affects the natural environment (for instance, woodlands), the health of the population, infrastructure facilities (buildings, roads, pipelines, etc. ), power grids and farmlands. The research will lay the foundation for the climate matrix, which is to be a combination of interconnected vulnerability models for various entities in conditions of climate fluctuations. For example, the matrix will be able to show how much death rates for various population groups increase during a drought, make it clear how climate changes account for the propagation of infectious and parasitic diseases, and reveal how much more power people spend on air conditioning in the summer. Olga Shmeleva of the Severtsov Institute of Ecology and Evolution, however, is critical of the initiative. Nevertheless, the ministry hopes to receive a fully operational matrix that will be used by various state agencies, from the Ministry of Economic Development to regional healthcare ministries. A source in the Ministry of Natural Resources claims that researchers already have the theoretical know-how to build the matrix, and now the project only requires programmers. About 10 months will be required to complete the matrix. The contractor will make up to 4.5 million rubles (nearly $150,000).